Intravenous nutrition offers better bioavailability of nutrients to the body’s metabolic needs since the delivery is not dependent on the gastro-intestinal system or intestinal wall membrane. The goal of intravenous nutrition therapy goes well beyond that of providing general nutritional needs for a healthy body. The degree of disease response and improvement reported by patients is well documented in clinical studies. 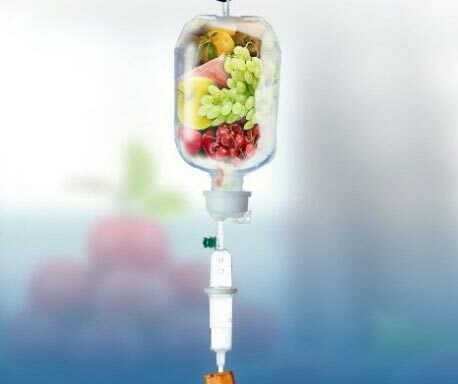 Intravenous nutrition also allows the body to reach optimal therapeutic levels and maintains a better control and monitoring of the conditions being treated. All patients are evaluated with blood and urine tests to assess their nutritional and metabolic status and therapies are prescribed accordingly. The nutrients used are vitamins, anti-oxidants, minerals, anti-microbials and amino acids. The nutrients are administered intravenously in the office by a nurse under a doctor’s supervision. Therapy can take the form of a brief “IV push” lasting from 10 to 30 minutes, or a larger volume of nutrients delivered from several minutes to several hours, depending on how much time and nutrients are needed to complete the treatment. The patient typically reclines in a comfortable lounge chair, may eat and drink, listen to a portable music player, watch a movie on a portable DVD player, read, talk to others or sleep. The treatment generally involves very minimal discomfort and the patient is free to resume all normal activities immediately afterwards.